You are viewing the archive for the ‘Proposition 37 California’ tag. Requires labeling of food made from plants or animals with genetic material manipulated in specified ways. Exempts certain foods that are certified organic; animals fed with genetically modified organism (GMO) feed, contain small amounts of GMO ingredient; restaurant food, and alcoholic beverages. Scientific evidence. There is no credible scientific evidence that genetically engineered foods are harmful to health or have higher adverse effect on environment. If there was any, I will be in first to oppose GMOs. (All types of food were genetically modified at some time through traditional methods). National Academy of Sciences and the World Health Organization believe that GMO foods don’t poses risks to human health. Flawed labeling. Organically produced foods are voluntarily labeled “organic”, instead of requiring “non-organic” labeling on all other foods. So, why not label GMO-free food as “non-GMO” for those who want to know the GMO status of their food? Requiring “mandatory” warning-type labeling of every food about their GMO status is flawed. Limited resources. The additional cost for labeling GMO status of the food will come from somewhere, most likely other critical area of food security. I can’t vote on the proposition 37. Those who will, please weigh in carefully before your vote. Don’t give in to loudest announcements of fear. Listen to the reasonable perspectives of experts – not activists or lobbyists. 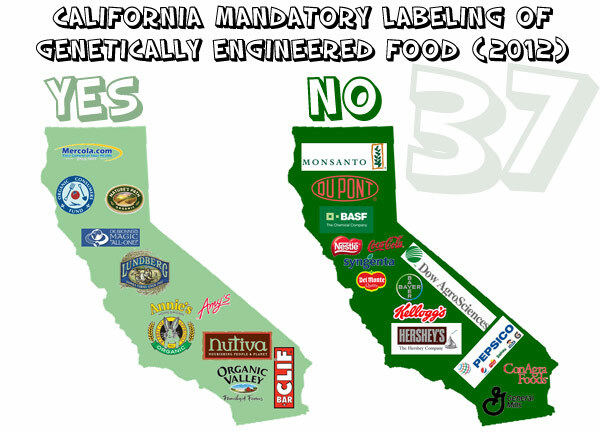 Outcome of proposition 37 will affect how we’ll eat, probably more than the upcoming presidential election.